Is Gabriel Agreste Hawkmoth? A question that I wanted to know the answer to since the start. I think I’ve proven this to be true. Update: Yes, he is. Scroll to the bottom for the latest news. The most obvious point is that both Gabriel and Hawkmoth are played by the same voice actor. Was this just because the guys at Zag Studios liked his voice, or was there another reason? Gabriel is a fashion designer, so we assume that his son Adrien is wearing his clothes. Adrien’s shoes have a black butterfly logo on them. We know that Hawkmoth has a big room full of butterflies, and the window suggests that it’s high up because a lot of light gets through. Who do we know who has a huge, tall mansion? Gabriel Agreste’s neck is always covered. We assume that he doesn’t take his miraculous off, and we know that Hawkmoth has his miraculous on his neck. When I was watching the original Ladybug pv, I noticed that the anime Hawkmoth looks kind of like Gabriel Agreste. You may be thinking I’m crazy, but the shape of their faces are pretty similar. This is just my opinion. In the origins, Hawkmoth is holding a picture of Adrien’s mother. At the end of the origins, Hawkmoth states that with the absolute power from Ladybug’s and Cat Noir’s miraculous, his ‘secret wish’ will come true. He wants his wife back! And in the webisodes, Adrien says that his dad was never the same since his mum disappeared (Adrien’s mum, not Gabriel’s mum). Could he be desperate enough to create villains? In his secret safe, not only does Gabriel have a book on miraculous stones (which isn’t actually his), but he also has the peacock miraculous. Did he steal it, or did it belong to Adrien’s mum? Oh, and just in case you were wondering how I know it’s the peacock miraculous, when Master Fu opens his box, the peacock miraculous is missing. 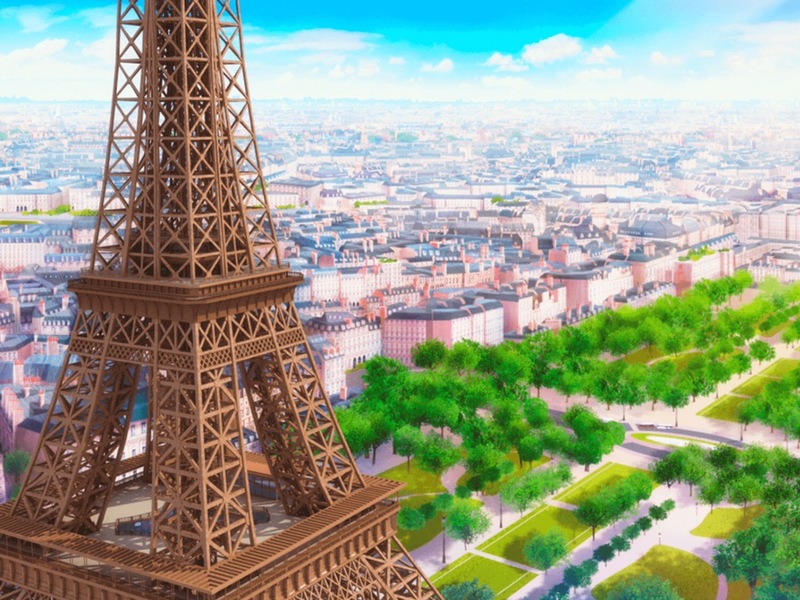 Plus, in the opening theme and the origins when all of the miraculous stones are shown, you can see that they match. Gabriel Agreste appears to be left handed, and Hawkmoth holds his cane in his left hand. I’m not sure if this matters or not but every Akuma attack has happened in the same area, near the Eiffel Tower. Hmm, who lives around there? This, and the next few pieces of evidence are from the episode Simon Says. When we see Hawkmoth, right before Gabriel is captured, he’s walking and stretching his neck like he just came in and put his costume on. When Simon Says is planning to capture Gabriel Agreste, Hawkmoth says it will be risky, but wishes him luck. It is likely that he knows it’s going to be risky for himself, but he wants the miraculous and knows that the only way to get them, is to give Simon Says what he wants. After Gabriel Agreste is captured by Simon says, Hawkmoth isn’t seen for the rest of the episode. He doesn’t talk anymore to Simon Says, and he doesn’t curse Ladybug at the end of the episode like he normally does. Gabriel Agreste tries to get Ladybug’s and Cat Noir’s miraculous, throughout the episode. He tries to grab Ladybug’s earrings and stares at Cat Noir’s ring when they shake hands. When he hugs Adrien, he notices the Cat Noir ring. He gets all suspicious and leaves the room. If after all this, you’re still not convinced, I’ve got two last pieces of evidence that PROVE Gabriel is Hawkmoth. Both are in the first origins episode. Everybody says that Gabriel can’t be Hawkmoth because their faces are different in shape. The reason for this is Hawkmoth’s mask. If you compare the shape of Gabriel’s face to that of Hawkmoth’s before he transforms, they’re the same. Before Hawkmoth transforms, we can see that he’s wearing a silver ring on the middle finger of his left hand, and Gabriel Agreste also has one on the same hand. So, I think I’ve proven my point. Either Gabriel Agreste is Hawkmoth, or the humans at Zag Studios wants us to THINK that he is, and then it turns out they’re different people. I guess we’ll have to wait to find out. Update: You May or may not know about all the spoilers that have been released. We now know Hawkmoth’s true identity, so if you don’t like spoilers, don’t keep reading. First of all, I would like to draw your attention to these extremely dodgy looking screenshots. It’s a little blurry , but we can still confirm that Gabriel Agreste will be akumatized in the second season. He’ll become a villain called the Collector, who has this crazy boomerang book that turns you into a picture if it hits you. What does that prove, you may be asking? Hang in there humans. Now, I would like you to look at this other blurry screenshot. Have you figured it out yet? The Collector gets akumatized in Hawkmoth’s butterfly room. The Collector is also Gabriel Agreste. I wonder why Gabriel Agreste was in the butterfly room, what do you think? GABRIEL AGRESTE IS HAWKMOTH EVERYBODY!!! Also, I’ve had numerous issues with copyright. If you want to use information or images from my blog, you have to acknowledge where you got them. I keep seeing YouTube videos which are basically word for word of this post with screenshots of the images I edited. If you’re going to do that, you have to tag me in the description. I don’t like to leave comments on videos telling people that they’re doing the wrong thing. Thanks guys! I noticed the peacock pin as well. Personally I think Mr. Adrien’s dad is hawk moth and I find it hilarious that Hawk Moth (Adrien’s dad) basically whants to krikk his son. I watched the episode, it is really true. I had many suspicions on Gabriel Agreste. I definately think you are right that they want us to think it’s Gabriel Agreste but I’m only 80% inclined to agree with this theory because there are a couple of issues. 1. As Lucia mentioned above Hawkmoth’s attic does appear to be some way from the Eiffel Tower even though most attacks occur near said Tower. 2. Gabriel doesn’t seem suspicious when he notices the ring he looks terrified. This could be that he’s just realised that he’s been attacking his son (but he doesn’t change his modus operandi as a result and he clearly does care about Adrian) and an equally strong reason could be that he’s just realised that it’s a miraculous and realised his son is putting himself in danger. 3. While it’s true the fact the Hawkmoth interjections in Simon Says stop once Gabriel is captured prior to that the back and forth seems a bit much even if teleporting. You’d probably need bilocation to manage it. It’s so fun trying to figure this out. I can’t wait until we actually find out Hawkmoth’s identity.